NetBeans could not start on a Xubuntu Linux system. It displayed a splash screen, wrote the message Initializing for a few seconds and then quit. The original distribution was Xubuntu 16.04 LTS which had been updated to Xubuntu 18.04 LTS. 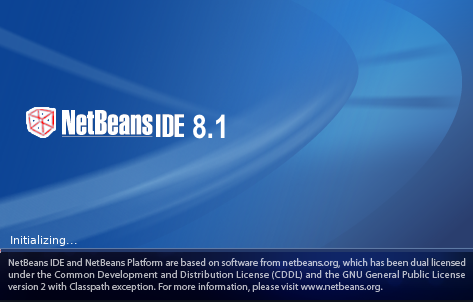 Discovered that NetBeans 8.1 requires JDK 8. INFO [null]: Last record repeated again. Tried starting NetBeans again, but it still failed to start. !MESSAGE Error reading configuration: Unable to create lock manager. java.io.IOException: Unable to create lock manager. It was still unable to start under the regular user account. This was the last step. After this NetBeans could finally start normally again. Check and change used JDK to version 8. Downgrade libequinox-osgi-java package from 3.9.1-1 to 3.8.1-10 and hold/pin it. Run NetBeans as root once. Change NetBeans file permissions to normal user permissions.